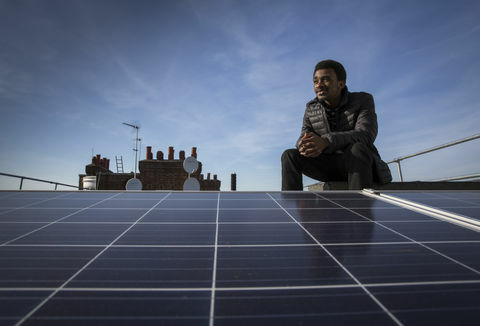 PEG Africa is the largest off-grid solar company in Ghana, as well as a driving force for pay-as-you-go (PAYG) solar energy in West Africa, distributing solar home systems to the country’s most remote areas, including those without roads or running water. PAYG financing enables PEG Africa’s customers to replace their perpetual spending on poor quality polluting fuels, such as kerosene, with solar energy that quickly becomes an asset the customer owns. PEG Africa is a driving force for pay as you go solar energy in West Africa, and is really leading the way when it comes to financing and distribution in a region where mobile money penetration is still very low. In rural West Africa, 150 million people are currently living without electricity. In Ghana alone, there are nearly two million households with no access to electricity and who spend up to 30% of their income on poor quality fuels such as kerosene, candles and batteries. The rural, sparsely populated area and relatively poor nature of the customers makes it a challenge, practically and financially, for companies to reach them. The result is that these customers are frequently ignored by product and service providers. Although PAYG and solar power are well established in East Africa, they are less available in West Africa, partly because of low mobile money penetration. 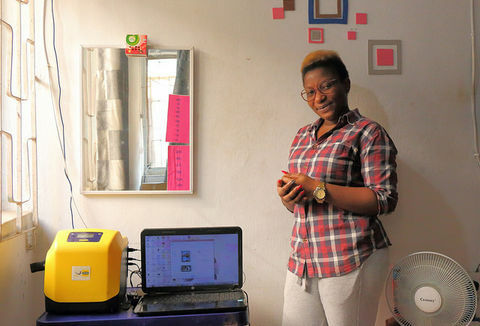 PEG Africa was started in 2013 to make solar home systems and other useful products affordable to these underserved customers in West Africa. They do this by licensing some of the best PAYG solar home systems available and distribute them on credit through a network of sales representatives across Ghana. Customers pay using mobile money and credit risk is minimised with a SIM-enabled meter inside each device. 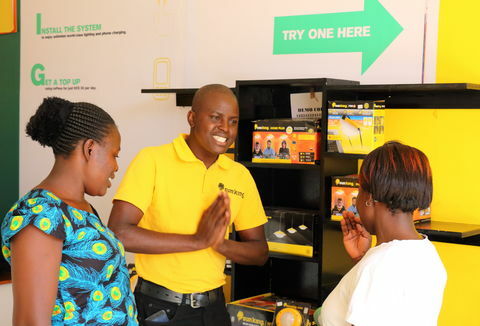 PEG has pioneered new customer payment processes which make it simpler to pay using mobile money, and have introduced incentives such as hospital insurance and the ability to use the solar home system as collateral for loans on future products. As such, the company is not only providing energy access but also financial inclusion. PEG's business model is focused on the licensing and distribution of PAYG. 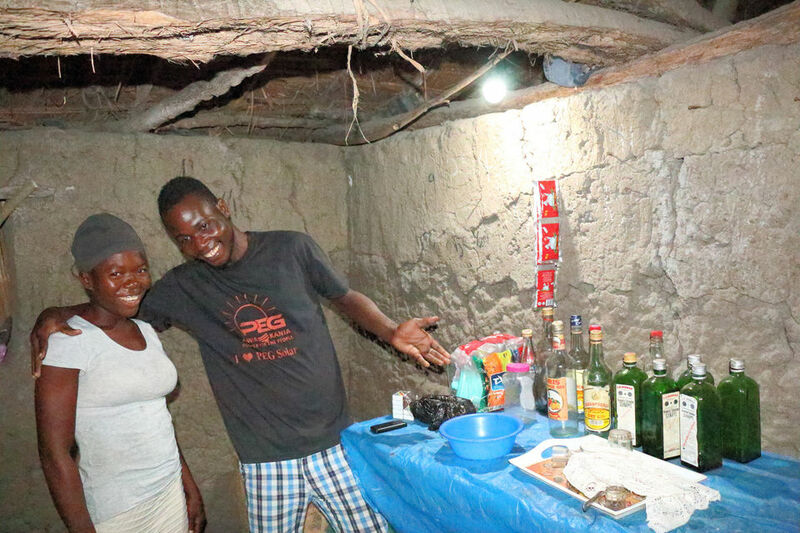 Once a customer has paid off their solar home system fully, they can use it as collateral for further loans, allowing them to purchase clean cookstoves, smartphones, insurance, and other products on credit. The solar home system is licensed from M-Kopa Solar and is imported from China. Licensing the product avoids the need for the company to invest in in-house research and development. The follow-on products are all sourced locally. PEG also partner with Bima, a microinsurance company, to offer hospital insurance as an incentive to good customers. The products are distributed through a network of 36 service centres and nearly 200 commission-based sales representatives working across seven regions of Ghana. All sales representatives are trained in-house. There is a one-year warranty on all appliances and two years on the battery and panel. If customers have a problem they can call the seven-day customer care centre (with staff speaking four local languages). If problems need to be solved in person, customers can go to their nearest service centre or a PEG representative will go to them. The solar home system is sold to most customers on credit, with payment over one year to 18 months. Customers can make payments through any of Ghana's four mobile money networks. Mobile money is still relatively new in Ghana, so PEG help customers sign up to it, acting as mobile money agents. PEG have also simplified the payments process using POP or USSD codes (a way to make money transfers in two steps, rather than the 12-step process common to mobile money transactions elsewhere). A SIM-enabled meter inside the product's battery box shuts off the system if customers default on their loans. 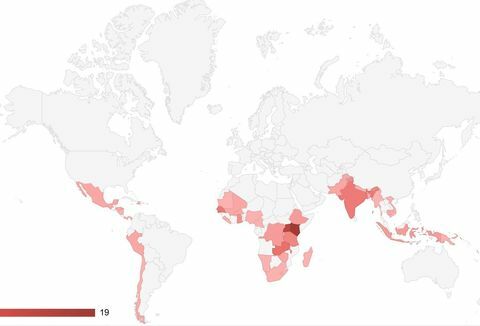 To date, over 25,000 solar home systems have been sold (including 11,00 in Côte d’Ivoire), benefitting over 100,000 people in some in the most remote areas. These households now have cleaner, brighter light making it easier for children to study and is better to cook by. Over the five-year lifetime of the system, families can save approximately $1000 since the cost of the weekly PEG instalments is roughly equivalent to what families were spending on kerosene, batteries and mobile phone charging. However, the lack of hassle associated with batteries running out and travelling to charge mobiles is equally appreciated. 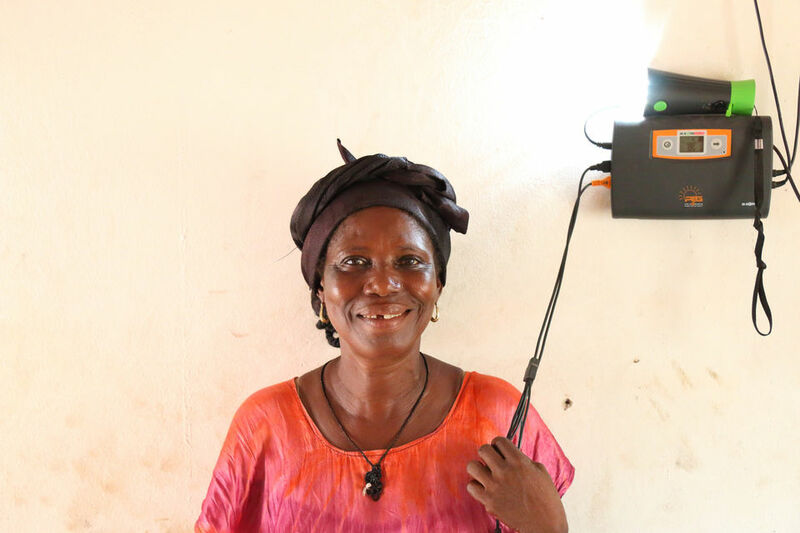 Where kerosene lighting is replaced, the solar home system also reduces the risk of fires and health damage from indoor pollution, and cuts greenhouse gas emissions. Having run a successful pilot for additional loans to existing customers, PEG is starting to roll out to all of its customer base. During the pilot period, about five percent of customers were able to take advantage of the additional loans available, including 550 loans for smartphones, 300 for cookstoves, 150 for TVs and miscellaneous items such as extra light bulbs. In addition, 11,000 families are benefitting from hospital insurance. 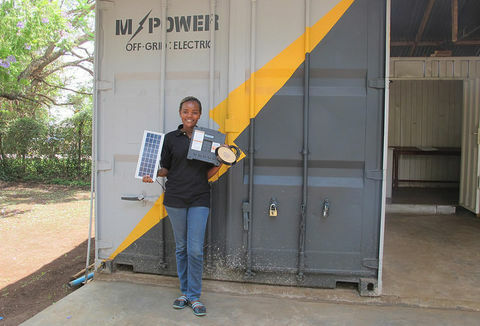 PEG’s primary product, the M-Kopa 4, is a solar home system containing an 8Wp solar panel, a 6.5 V 3.2Ah battery, 2 bright LED lamps, an LED torch, a radio with MP3 and a mobile phone charger. It has been certified by Lighting Global, an international quality standard on solar lighting, and is one of the leading products in the sector with more than 400,000 sold. The potential for expansion within West Africa is substantial with millions of households without electricity. 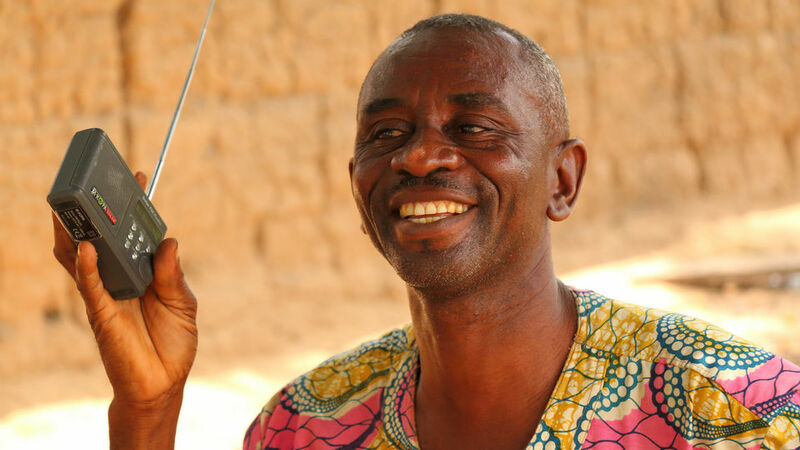 Over the next five years PEG aims to reach 700,000 customers with one million loans across West Africa. In the first instance PEG is launching in Côte d’Ivoire, which has one of the fastest growing economies in Africa, a stable currency (CFA, linked to Euro) and a more mature mobile money market than Ghana. There, PEG aims to reach 10,000 customers in the next year. PEG also plans to diversify their product range, offering existing customers follow-on loans for additional products to meet their needs, such as agricultural items, education loans and television enabled systems.